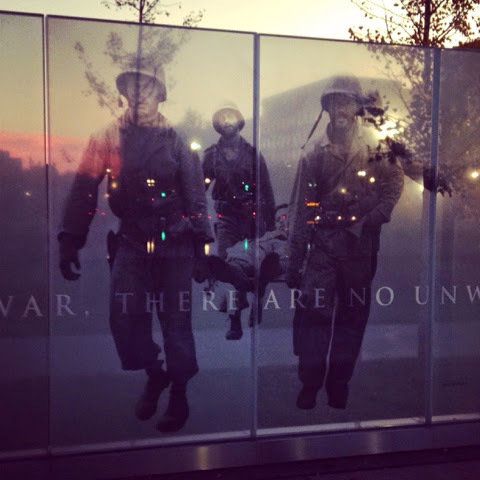 Whenever I take the metro home, I walk past the Disabled Veterans Memorial. On Monday night (the night before Veterans Day) it made an even greater impact. The sun was shining through the glass giving making the sky look like it was red, white and blue. I couldn't help but stop and think about all the men, women and families in the armed forces who sacrifice so much to keep our country free. Words cannot express how thankful, grateful, and in debt to them I feel. They are true American Heroes, and I have so much respect for them every day of the year. Tonight I'm flying to Dallas for my college roommate/best friend's baby shower. We have been friends for over 12 years, and I am looking forward to spending a lot of time with the Momma-To-Be. She and her husband are going to be two of the best parents ever. Plus, they are avid adventurers so I can pretty much guarantee that baby boy will be an expert outdoors-men by the age of 18 months ;) This is the first of two baby showers I am hosting in a month's time, and I now consider myself an expert in all things babies and showering. Consider this a warning that posts titled "how to plan the BEST baby shower ever" are in the future. Have a great weekend everyone and stay warm! 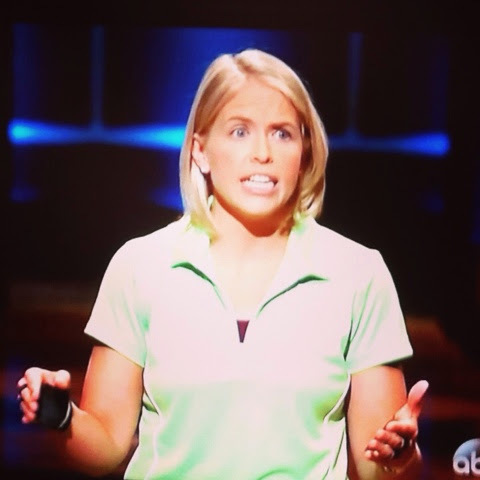 Josh and I like Shark Tank, but I LOVE it when I recognize one of the featured products. This happened last Friday when The Natural Grips was on to make their pitch. I included them on my list of "Must Have CrossFit Gear." The Sharks thought they were a "must have" too because TNG left the show with a deal. Can't wait to see how the company grows! I really want to be a hat person. 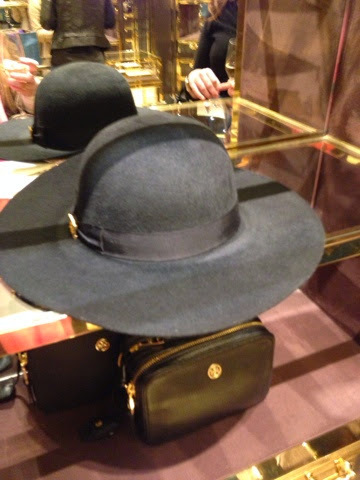 I loved this Tory Burch one and tried it on at the private party last week. It made me feel like JLo making it a no-brainer that I add it to my TB wish list! While I haven't had a red Christmas cup from Starbucks yet, I did have a doughnut and coffee from Krispy Kreme. After casting my vote on Election Day, I splurged on this dessert like breakfast. It was my first time trying their coffee and was pleasantly surprised. What is your favorite doughnut? I prefer cake doughnuts and 9 times out of 10 I choose chocolate as the flavor. Like most of the country, it got COLD in DC this week. I was not/am still not ready for the mercury to drop. 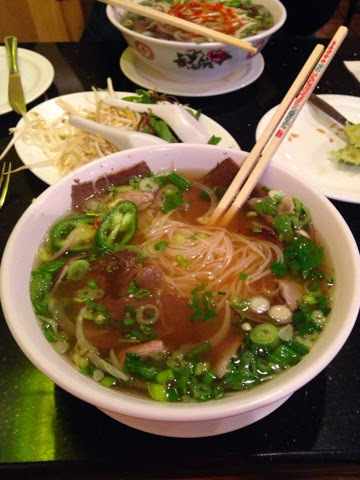 I eat pho about 3 times a month but that number is going to increase significantly with these fridid temps. I want that donut... and the pho! We should learn to make it ourselves now that it's so cold. Then we won't have to venture out into the frigid temps!